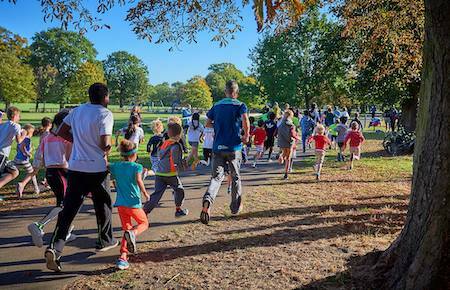 What is Bury St Edmunds junior parkrun? The event takes place at Ten Acre Field, Symonds Road, Moreton Hall, Bury St Edmunds, Suffolk, IP32 7DA (Gate entrance Opposite Raedwald Drive, to the left of Moreton Hall Prep School). See Course page for more details. Every week we grab a post parkrun coffee in The Coffee House, 5 Lawson Place, Moreton Hall, Bury St Edmunds. For Takeaway Tea and coffee, also please feel free to use Moreton Hall Health Club - please come and join us!